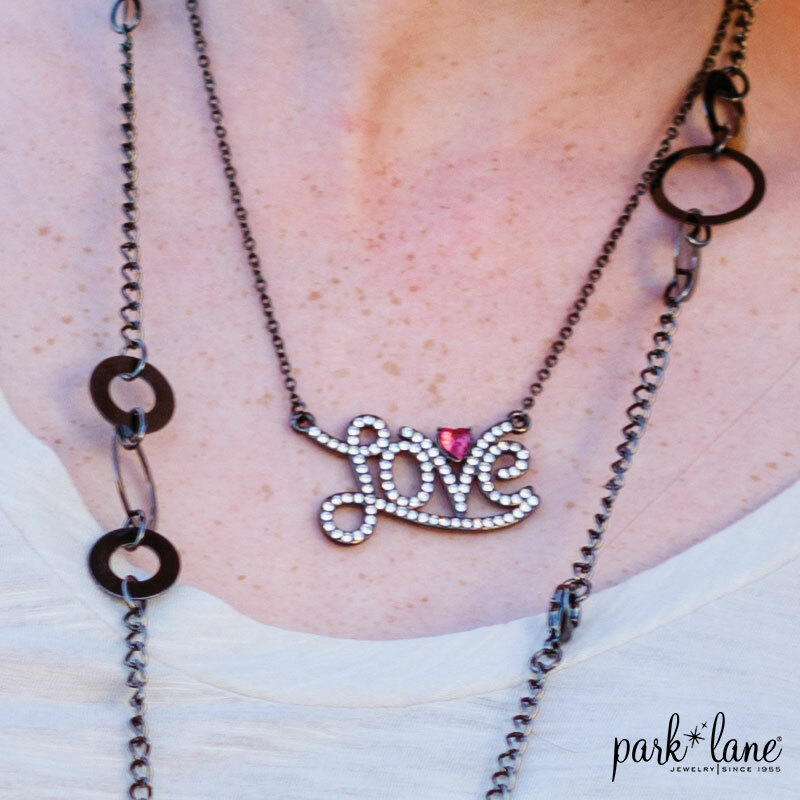 The word “Love” is channel-set with shimmering crystals and suspended from a hematite chain. 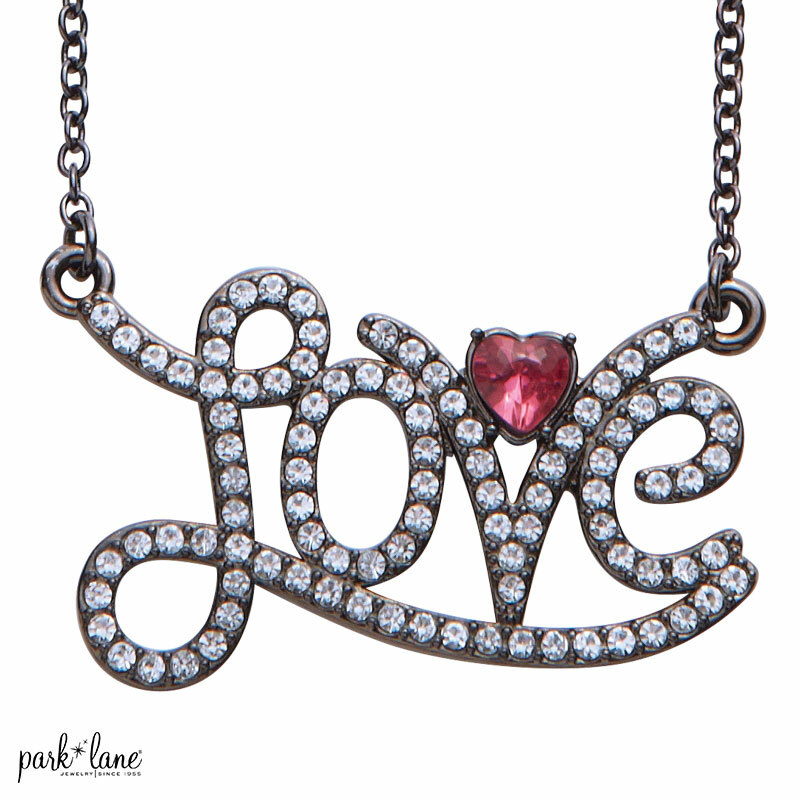 A ruby pink crystal adds the finishing touch. 16”+3”ext.